Weekly report on matches played throughout the season. Player stats, tops scores and team news. All this can be found on our news page. Find out where your team positions are during the season and see how each team performs over the last 5 matches. The latest competitions updates page is available for team fixtures, group positions and next match information. Easy keep track of competitions. New teams and players can register online before the start of the season. Just visit our sign up page to find all the information you need to get started. Teams will be automatically selected for the Mick Potter Memorial Trophy and E carter competitions, but players and teams will need to sign up with the competition secretary for singles, pairs, county club, three cities and coronation cup. 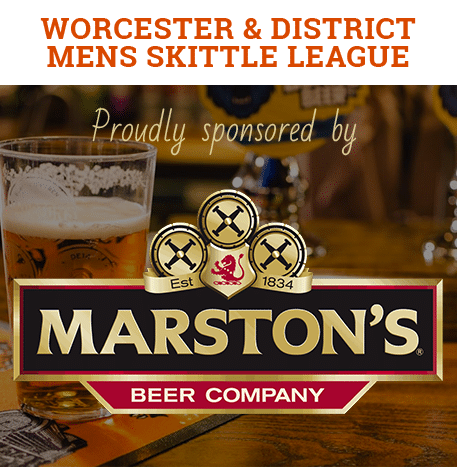 Need to get in touch with somebody from Worcester Skittles? Please use our contact page.